I went to H-Mart the other day and geeked out because they were selling bags of blood oranges for $2.99. An entire 2 pounds of absolutely beautifully unblemished (albeit smallish) blood oranges for $2.99! I immediately grabbed a bag and put it in my basket. And then got home and had no idea what to do with them. Turns out that blood oranges are the fresh produce equivalent of high heels. I bought them because they were just too gorgeous to pass up, not because they were practical. I didn’t actually have a need for them. I was in love with the idea of them. When I got around to trying to use them, I had to admit that professionals make them look way sexier than I do. A Cara Cara, getting supremed. These things are way too messy to eat out of hand, unless you don’t mind looking like you finger-painted with cherry Kool-Aid powder. Perhaps this is why I’ve seen plenty of drink and dessert recipes that call for blood orange juice, but not many that use the fresh fruit, which is what I wanted to do. Preferably over yogurt, because I could supreme the orange and mostly avoid the stained-hands problem. Also because a yogurt bowl with seasonal fruit sounded like a delicious way to get out of my cold-cereal breakfast rut. I surveyed the kitchen for what else would work well with the blood oranges. In the fridge, we had pink Cara Cara oranges (thank you, Trader Joe’s). In the freezer: an arsenal of nuts (thanks again, TJ’s). In the liquor cabinet: orange flower water (thank you, husband who likes making fancy cocktails). I decided to go for baklava-inspired toppings: toasted pistachios and walnuts, and a honey drizzle with a little bit of orange water, cardamom, and cinnamon. No, there aren’t any phyllo crumbles, but it is a nice change from the typical yogurt bowl. Note: I call for roasting more nuts than you need because it’s a pain to roast just 2 tablespoons, and the extras will keep for a long time in a sealed jar. Also, adjust away. I recently discovered that I love mixing half plain yogurt with half vanilla because—for me—it makes the yogurt the perfect amount of barely-sweet for adding toppings. If you like your yogurt less sweet, use all plain; more sweet, use all vanilla. You could also increase or decrease the amount of honey. Preheat the oven to 350°. Roast the nuts until fragrant, about 6 minutes. Let cool completely, and then chop. Transfer to an airtight container. Mix the yogurts together in a cereal bowl. Over another small bowl, supreme both of the oranges: First, trim the top and bottom. Next, cutting from top to bottom, trim all of the pith away. Finally, remove the sections by slicing next to each membrane; the sections should easily pop out. Remove any seeds you come across. Put the honey in a small microwave-safe bowl. Heat it for 5 seconds or so, just long enough to get it thin and barely warm, which makes it easier to mix and pour. Add the cinnamon, cardamom, salt, and orange flower water. Taste, and adjust the seasonings to your liking. If you want your yogurt to stay thicker, remove the orange segments from their bowl and place them on top of the yogurt. (And then drink the juice that collected at the bottom of the bowl! Yum!) If you like your yogurt thinner, just dump the orange slices and their accumulated juices on top of the yogurt. Top with 2 tablespoons of the chopped nuts, and drizzle with the honey. Confession: I didn’t make this tart because I was trying to clean some stuff out of the pantry. I went out and bought some crisp green apples, a new bag of blanched almonds, a jar of apricot preserves, and a bottle of brandy just to make this. Because Thanksgiving deserves special food. And this tart is amazing. I count myself among the legions of people who think that Thanksgiving is the best holiday of the year. And we’re right. Given that you get along with your family (check) and there are some decent cooks in your family (check), the only things you’re supposed to do on Thanksgiving are just enjoy and appreciate your family’s company, and eat. I’m sold. This year, my parents and husband and I will be running a 5k together on Thursday morning—you know, so we can tell ourselves we’ve made a little more room for the turkey (one grilled one smoked) and the stuffing (I’m thankful I’m not on a low-carb diet) and the corn pudding (just as sophisticated as green bean casserole) and the cranberry sauce (confession #2, I like the jellied kind straight out of a can) and the whipped potatoes (the regular kind) and the sweet potato purée (with smoked paprika, so good) and the apple-almond tart (seriously it is exceptional). It is worth getting a tart pan with a removable bottom (like this one) to make this tart. The bottom layer is a rich ground-almond concoction, and it’s topped with Granny Smith apples that are brushed with butter and sugar before baking and then a glaze of apricot jam and brandy after it comes out of the oven. It does take a while to put together, but it is worth every second. I’ve made it many times and have always gotten compliments on it. Note: This recipe comes from Epicurious. I barely changed a thing. In a small bowl, whisk together the yolks and the brandy. 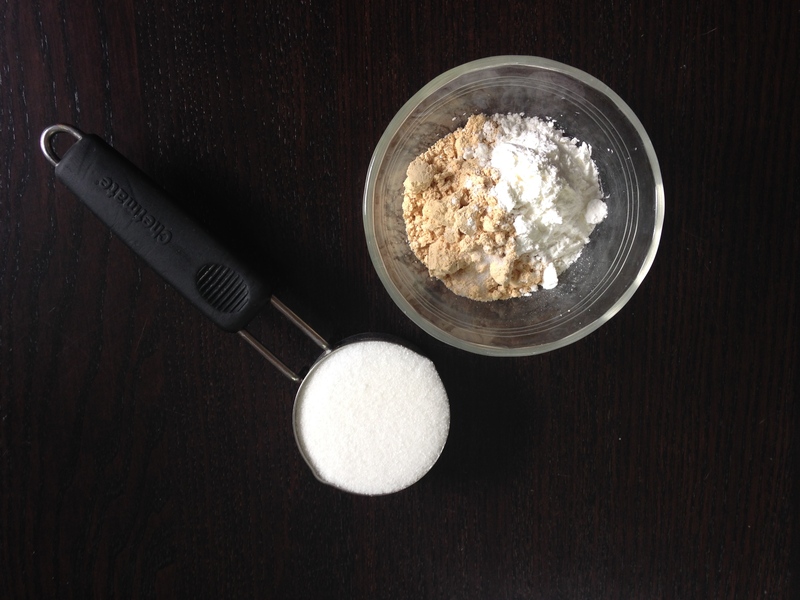 Pulse the flour, sugar, and salt together in a food processor. Add the butter and pulse until the mixture resembles coarse cornmeal. With the motor running, add the egg/brandy mixture and process until it forms a ball. Wrap in plastic wrap and chill at least an hour. After the dough is cold, roll it out into a 14″ circle on a floured surface. Press into an 11″ tart pan with a removable bottom; make the sides twice as thick as the bottom. Chill while making the filling. 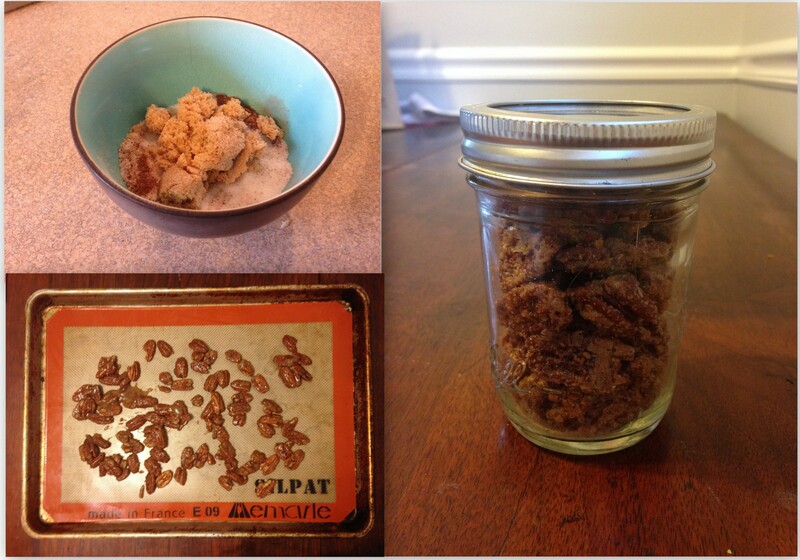 In a food processor, combine the almonds, 3/4 c. sugar, eggs, 1 Tbsp. brandy, both extracts, and salt. 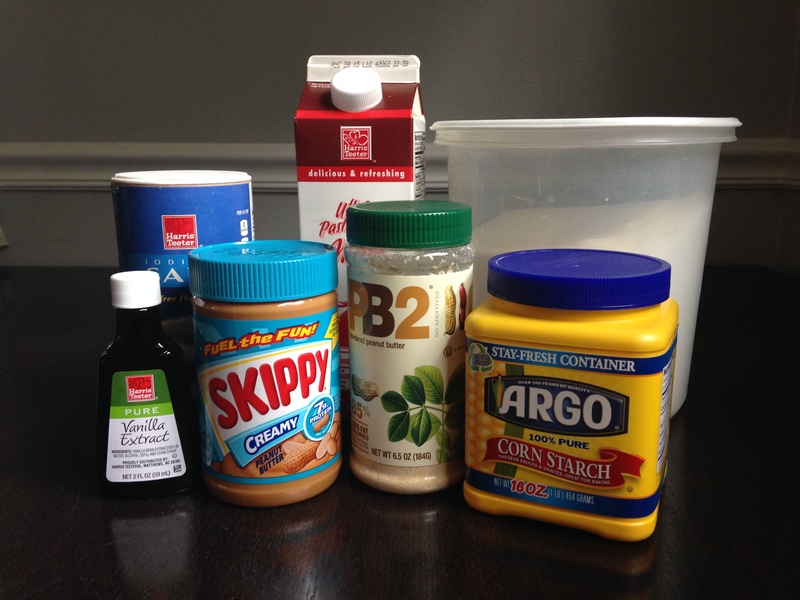 Process until a paste forms, then add 4 Tbsp. of the butter and pulse until combined. Spread into the crust and chill for about 45 minutes. Peel and core the apples. Quarter them, and then cut into 1/8″ slices. Toss with 1 Tbsp. sugar and 1 Tbsp. brandy, and let sit for 30 minutes. Meanwhile, preheat the oven to 400º. Drain the apples and overlap them in concentric circles on top of the filling. Melt the remaining 2 Tbsp. butter and brush over the apples, then sprinkle with the remaining 1 Tbsp. sugar. Bake at 400º for 15 minutes, and then reduce the oven temperature to 350º and bake until apples are tender, about 45 more minutes. Gently heat the apricot preserves and the remaining Tbsp. of brandy until the preserves melt. Strain into a small bowl and brush over the tart (or just avoid the apricot chunks when brushing). Cool. Tart can be made 1 day ahead. Store at room temperature. Mine would be ice cream, hands down. Cupcakes and cake aren’t even contenders. Pie, meh. I would have a hard time giving up cookies. But I don’t have to choose just one flavor of ice cream, right? So I can still get cookies ‘n cream ice cream every once in a while to get a fix of both? Also, by “ice cream,” I assume that includes gelato, frozen custard, and dairy-based popsicles. Sounds perfect. So, imagine how much my mind exploded when I made some spectacular fudge pops from Smitten Kitchen and realized I might be able to tweak the recipe a bit and get the same pudding-y mouthfeel but with peanut butter instead of chocolate. 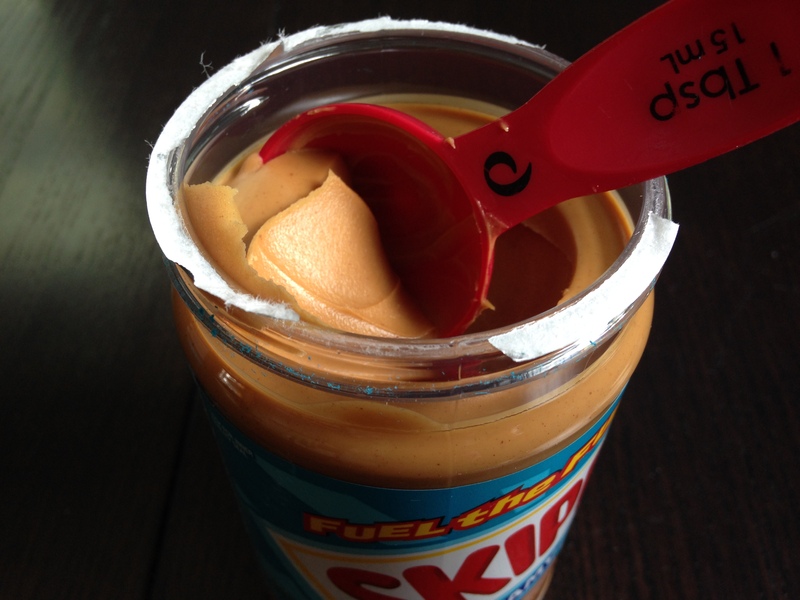 It could just be the perfect trifecta: Peanut butter? Check. Pudding pop that’s basically a single serving of ice cream? Check. Icy cold dessert on a swelteringly hot summer day? Check. The recipe from is pretty simple: you cook milk, sugar, cornstarch, and some flavorings until the mixture thickens, then pour it into some popsicle molds; the texture turns out pretty amazing, really smooth and rich. I subbed creamy peanut butter and powdered peanut butter for the chopped chocolate and cocoa powder, reduced the sugar a bit, and took out the butter. 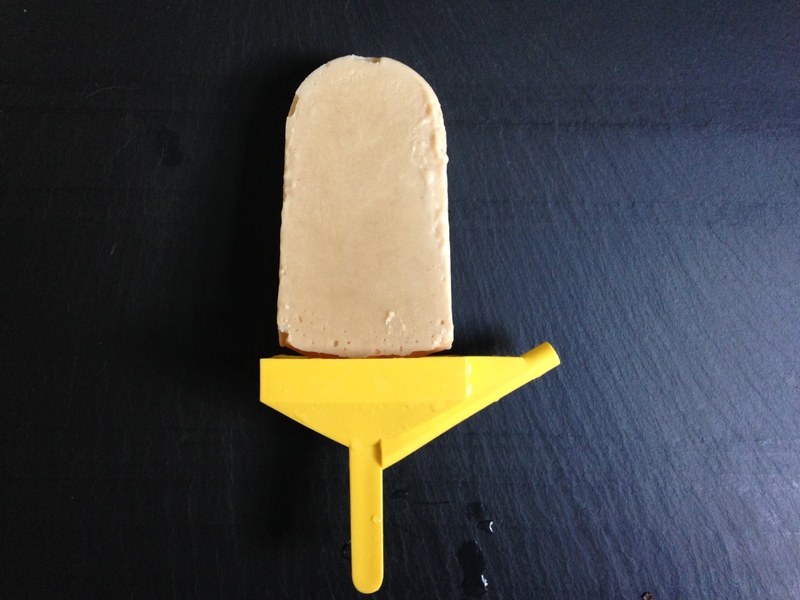 It turned out exactly as I had hoped: fudge pop texture, peanut butter flavor. Note: This recipe is adapted from Smitten Kitchen’s fudge popsicles, which itself was adapted from On A Stick! by Matt Armendariz. 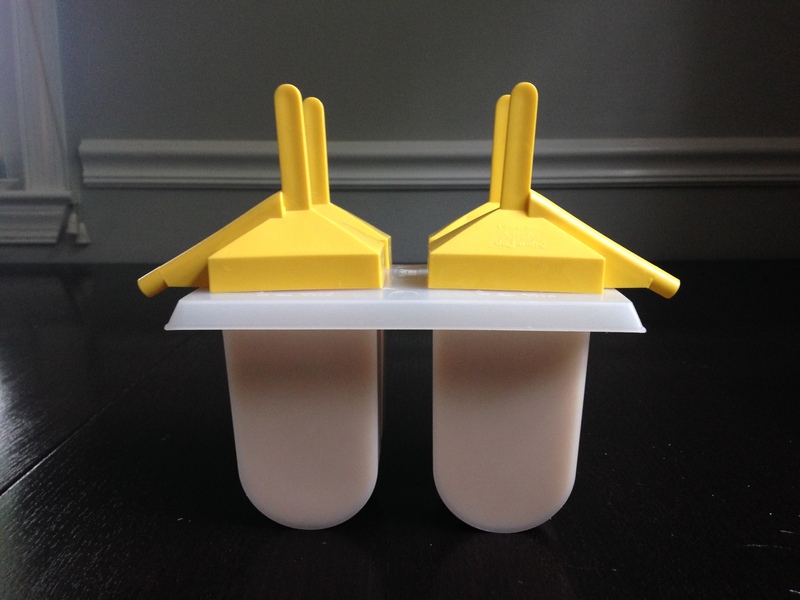 I use plastic popsicle molds. Sometimes it can be a pain to get the pops out of the mold. The method that works most consistently for me is to remove the frozen popsicles from the freezer, let them rest at room temperature for 3-4 minutes, and then run the mold under warm water before gently removing. Put all of the ingredients except the vanilla into a medium saucepan. Set aside the liquid measurer that the milk was in—you’ll need it again. Turn the heat to medium and start whisking. Continue whisking frequently until the mixture thickens, about 5 or 6 minutes. For me, it started bubbling after 2 or 3 minutes and thickened up another 2 minutes or so after that. Remove from heat and pour back into the liquid measuring cup. This will make it easier to fill your molds. Add the vanilla extract and let the mixture cool a little—10 minutes or so. 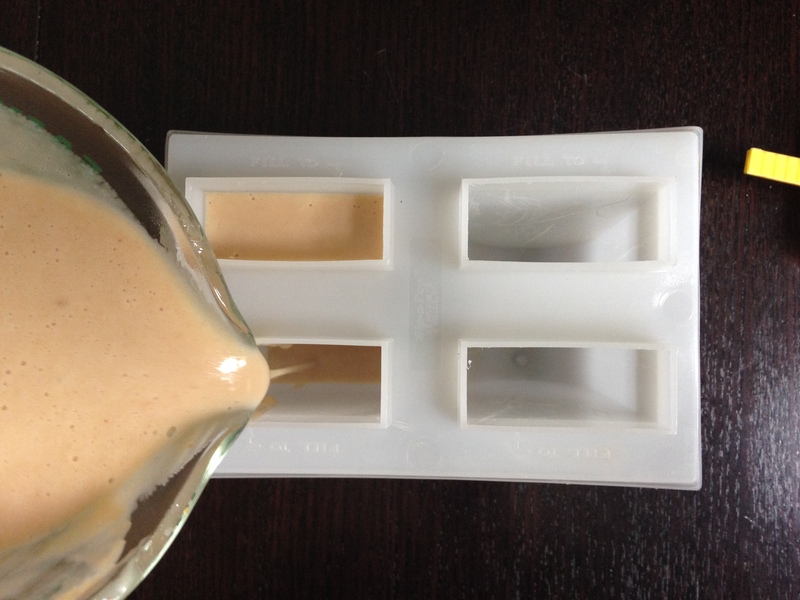 Fill your molds and let freeze until solid. I let them freeze overnight. I rediscovered a bag of apples in the basement a few days ago. They were leftover from an apple-picking / winery-visiting afternoon in September. At first, I left the bag on the kitchen table, and I would grab one to have with lunch every day. After I finished the ones that met my apples-eaten-fresh-must-be-crisp standards, the rest of them just kept sitting there, taking up space on the kitchen table. At some point, we had friends over—which is the only time our house ever gets cleaned—and I put the apples in the basement to get them out of the way. And then I forgot about them for a month or so. These were sad, wrinkly apples. They were super soft, which is how I like my cookies, but not my raw fruit. They weighed next to nothing because they were so dried up. With the salvageable ones, which were all Golden Delicious, making applesauce didn’t sound that appealing, and I wasn’t sure they would make a very tasty pie. Sautéing them to use as a yogurt topping sounded like a winner though. In general, I think real fruit mixed into plain or vanilla yogurt is way better than flavored yogurt. I’ve done the real-fruit-and-yogurt combo with juicier fruits like raw berries, but never with apples. Also, I have tried some apple-cinnamon flavored yogurts, and I always wish they tasted more like apple and less like cinnamon. I didn’t want the apples to be overly sweet or buttery, because I was looking for something that would be more like a breakfast and less like a dessert, something I could eat on a weekday and not feel like I was indulging (too much). I also found that cooking the apples for a really long time gave the most concentrated flavor and the best textural contrast because they almost got a little chewy—if I didn’t cook them long enough, it just tasted like applesauce mixed into yogurt: mush and mush. After about 30 minutes on medium-low. After another 20 minutes on medium. Lastly, I wanted to add nuts, for protein and for crunch. I tried adding toasted plain pecans, which were good, but chopped-up candied pecans were even better, and also added an extra boost of cinnamon-y deliciousness. 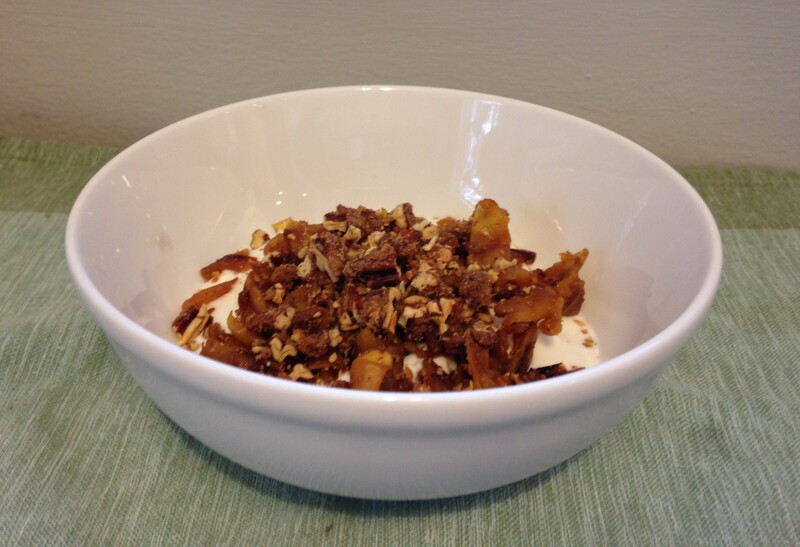 This is definitely a sweeter breakfast, and I did like it best with vanilla yogurt, but you could use plain yogurt or plain toasted pecans (or any other nut) to make it less sweet. I don’t call for much cinnamon in the apples because there is also some cinnamon in the spiced nuts, and I didn’t want it to overwhelm the apple flavor. If you prefer more cinnamon or if you use plain nuts, you could increase the cinnamon in the apples. You can also scale back the apple recipe for one serving–just use 1 teaspoon of butter and 1 teaspoon of brown sugar per apple, and cinnamon and lemon juice to taste. Set a large, 12″ non-stick skillet over medium-low heat and add the butter. Cut each apple into quarters and core them. Slice lengthwise again (so you have 8 slices per apple), and chop crosswise into about 1/8″ wide slices. Add the apples to the butter, then sprinkle with the brown sugar and the pinch of salt. Sauté over medium-low for about 30 minutes, stirring every once in a while. The heat should be low enough that you really don’t need to pay that much attention to them. 30 minutes is a long time if you’re just staring at the pan. It’s a perfect time to do something like get caught up your Serial podcast, which is what I did. After 30 minutes, turn the heat up to medium, and sauté for another 15 or 20 minutes, or until nicely browned and quite shrunken. (My 4 apples shrunk down to less than 2 cups.) Stir more occasionally to avoid burning. When the apples are brown to your liking, remove from heat, and stir in the cinnamon and the lemon juice. Let cool, then serve over plain or vanilla yogurt and sprinkled with a couple of tablespoons of chopped spiced pecans (see recipe below). This is adapted from Smitten Kitchen’s sugar-and-spice candied nuts, which was adapted from Elizabeth Karmel of Hill Country. Note: You will only use about 1/4 of the egg mixture. The original recipe calls for 1 egg white for 16 oz. of nuts, and I scaled it down to 4 oz. of nuts, partly because even just 4 oz. will make way more than you need for 4 servings of yogurt topping, and partly because they are really snackable and I didn’t want to be tempted to chow down on a pound of spiced nuts. Trying to measure out 1/4 of an egg white seemed like an exercise in futility, so just use what you need and dump the rest. And no, I’m not going to make a post on what to do with 3/4 of a leftover egg white that’s been mixed with water. Preheat the oven to 300º, and line a baking sheet with a Silpat or parchment paper. Mix together both sugars, the salt, and all the spices until no longer lumpy. Beat or whisk together the egg white and water until frothy. Add about 1/4 of the egg white mixture to the pecans, until they are just coated. Add the sugar and spice mixture to the pecans, and toss until evenly coated. It is going to look like more coating than is necessary, but it works. Bake for about 30 minutes, stirring occasionally.